This weekend in Las Vegas, nothing short of boxing royalty will be both in attendance and receiving honours at the fifth Nevada Boxing Hall of Fame inductions. There will be a genuine celebration of two great rivalries, as Thomas Hearns will be inducted, by Sugar Ray Leonard, and as Erik Morales will be inducted, by Marco Antonio Barrera. It’s up for grabs which of these two rivalries lit up the sport the most: the two classics Leonard and Hearns had, in 1981 and 1989, or the three epics Barrera and Morales had from 2000 to 2003. Rich Marotta of the NVBHOF spoke with RingTV.com and he discussed how special this year’s proceedings promise to be. Indeed, the two Mexican warriors had a genuine mutual dislike, the two unable to either hide the sheer contempt they had for one another or even enter the same room at the same time without things getting heated. The presence of “El Terrible” and “The Baby Faced Assassin” would be more than enough for fight fans, but with “The Hitman” and Sugar Ray also in the house this Saturday, it really will be some occasion. Hearns has had to wait to last as far as ” The Four Kings” bring enshrined in the NVBHOF goes, but maybe it’s a case of saving the best for last – or the most exciting. 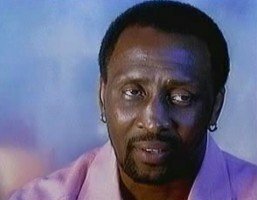 Hearns, always priding himself on pleasing the fans – this being as much an important goal as winning the fight – gave us so many thrillers, it’s tough to name them all in just one article. Never to be forgotten battles with the likes of Leonard, Duran, Hagler, Cuevas, Barkley, Andries, Roldan and other elite/top class fighters and champions came to us courtesy of Hearns. Over their respective boxing careers, kings Hearns and Morales made the sport great, hugely important, and respected. Both living legends will get the applause and the adulation they deserve in Las Vegas this weekend.